June 20, 2010 Published in Destination Weddings and Honeymoon Magazine. This is news that I’ve been holding back for a while, because I didn’t want to announce it until it was published. 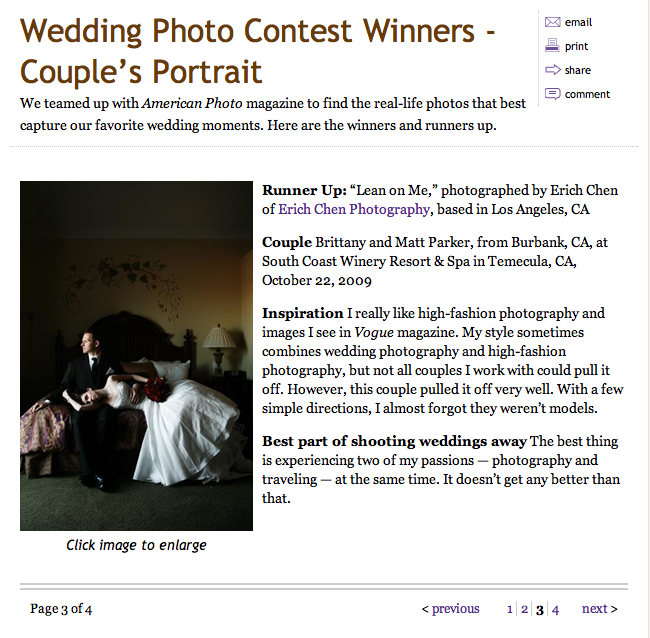 But recently I entered into the Look of Love Photography Contest associated with American Photo Magazine and also Destination Weddings and Honeymoon Magazine. and I won! I won! 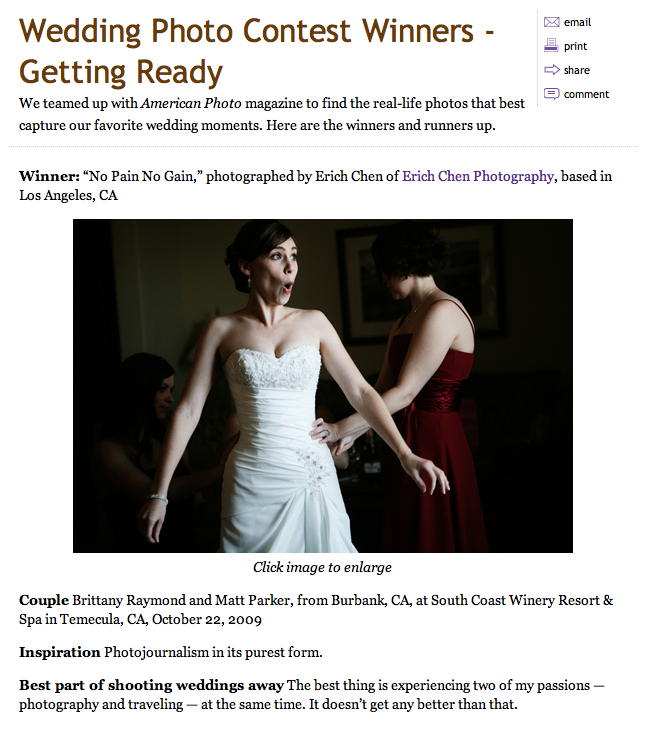 I am very esctatic to tell the world that I won for the “Getting Ready” Category and received runner-up for “Couples Portrait” Category. Considering it was my first photography contest that I won, I was very surprised to win. When I got the call one morning I was speechless, it was one of those moments in life where you’re really happy and your brain has so many thoughts going on but nothing comes out of your mouth.